Suppression of Q-switching during mode locking is extremely important for the successful development of continuous-wave mode-locked solid-state and fiber lasers. 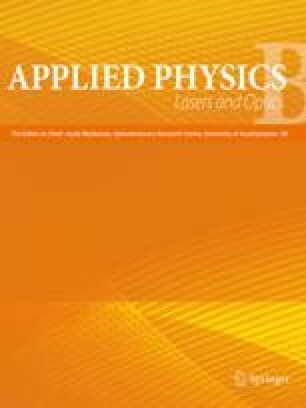 In this paper we show that the use of inverse saturable absorption, such as two-photon absorption and free carrier absorption, can suppress Q-switching instabilities and expand the continuous-wave operating regime in solid-state and fiber lasers. Conversely, an excess of inverse saturable absorption may lead to pulse-energy limiting and induce a break-up into multiple pulses. To analyze the advantages and limitations of adding this nonlinearity, we derive and discuss the mode-locking stability criteria in the presence of inverse saturable absorption. Useful asymptotic formulas for the absorber design employing inverse saturable absorption are also derived.